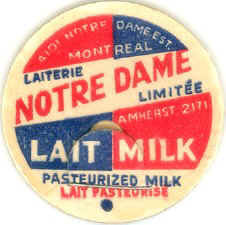 " G. Desjardins, Gérant "
In 1945 and 1946, the Dairy had a branch situated 4892 St-Émilie St. in St-Henri. This branch was used to serve the West area of Montreal. Phone number was WI- 2093.